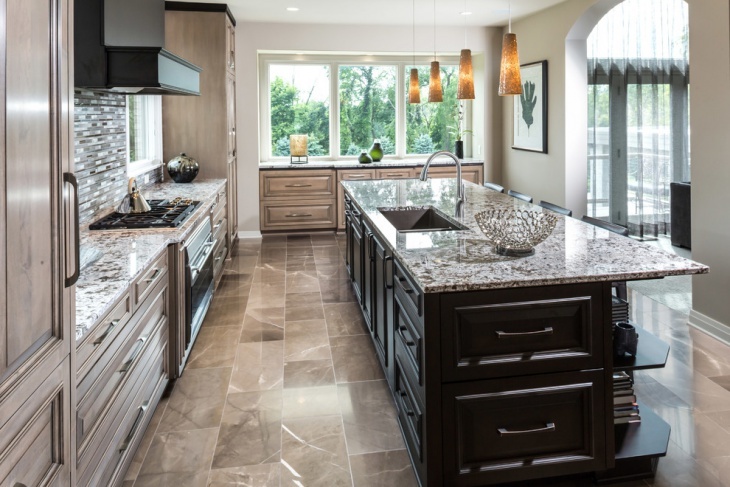 Marble is often used as an element of sophistication in modern kitchens. This stone is rich in look and delivers a royal look to any given kitchen. 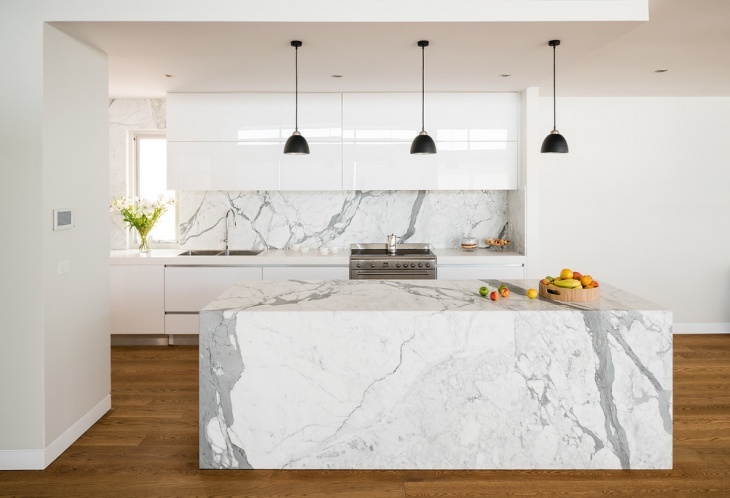 Countertops, slabs and floors are designed with marble to yield their aesthetic beauty. 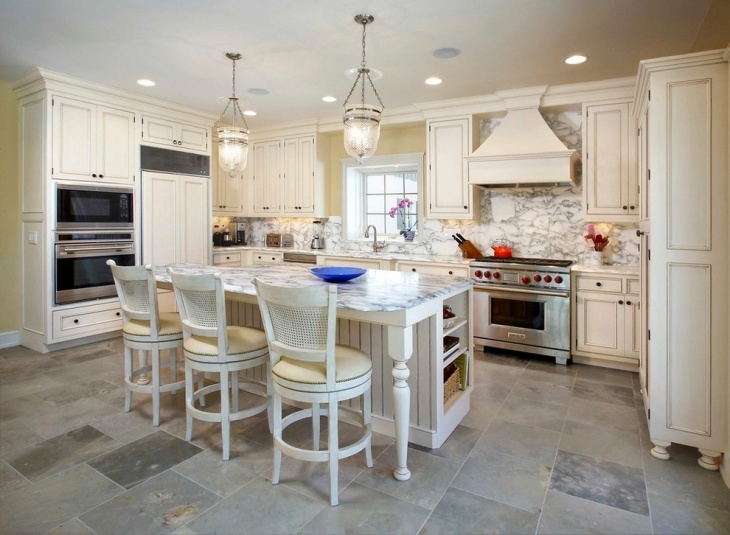 There are several innovative marble kitchen design ideas that people incorporate in their homes. 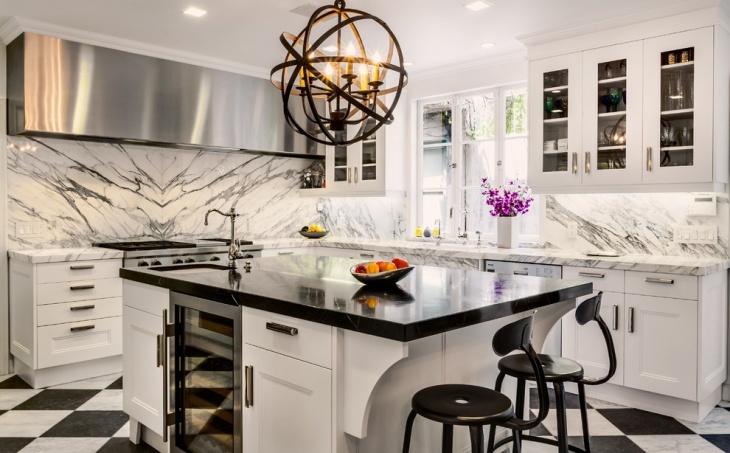 Here, you will come across ten gorgeous marble kitchen designs and you can opt for any of these to make your kitchen one of the best chambers in your home. 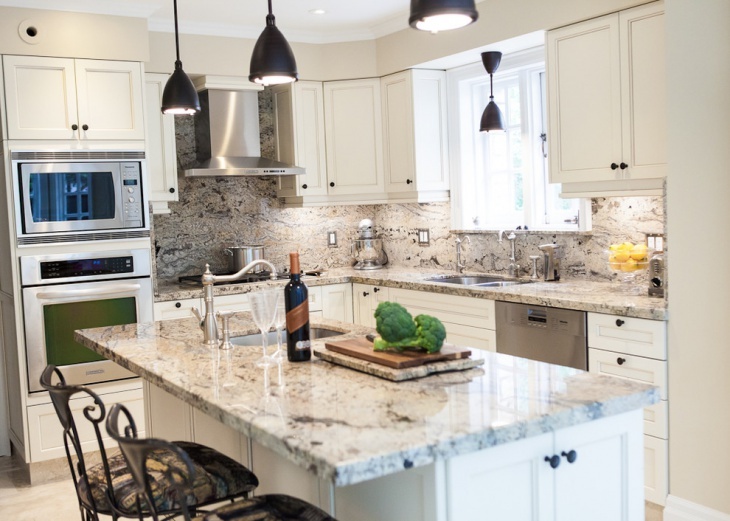 The eat-in kitchen concept has gained immense popularity over the years, and in these kitchens, the large marble table looks elegant and conspicuous. It lies on the medium toned wood cabinets and look compatible with the polished light-coloured floors in the room. Paint the room white to yield the perfect beauty. A mosaic backsplash can bring a refined look to your kitchen. Here, you can incorporate the white marble idea in the floors and countertops. With stainless steel utensils in the kitchen, the theme looks brilliant. 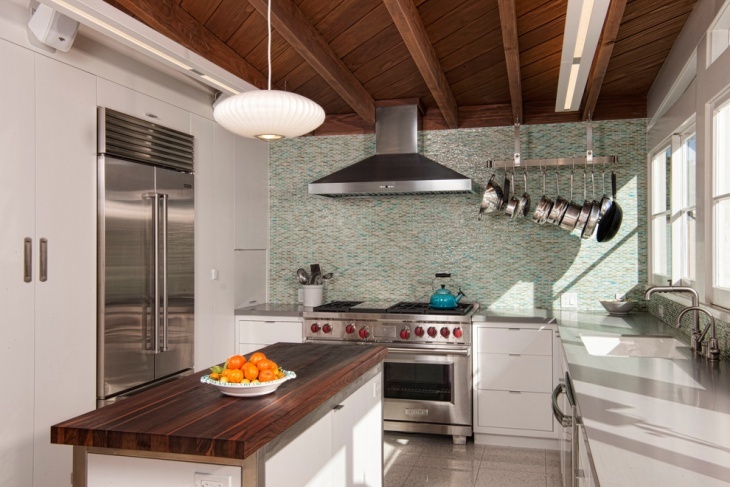 Flat-panel cabinets and wooden ceiling complement the beauty of the interior. 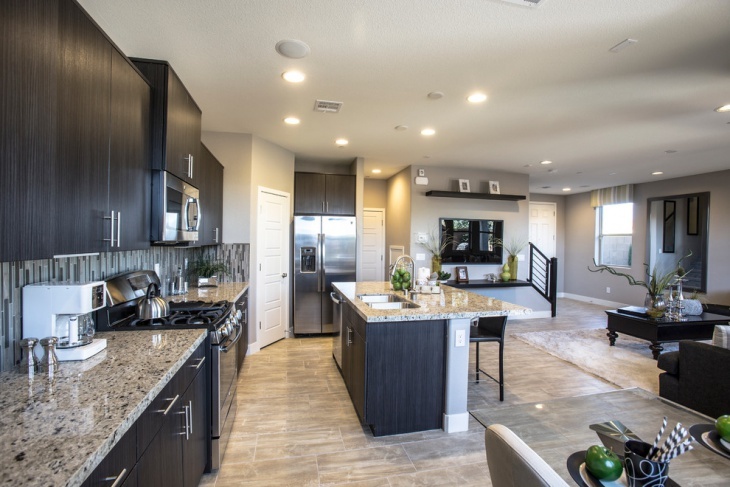 The Contemporary Kitchen theme is quite common in urban homes. Spacious kitchen rooms can be incorporated with the white marble idea and you will like the kitchen island made of smooth white marble. 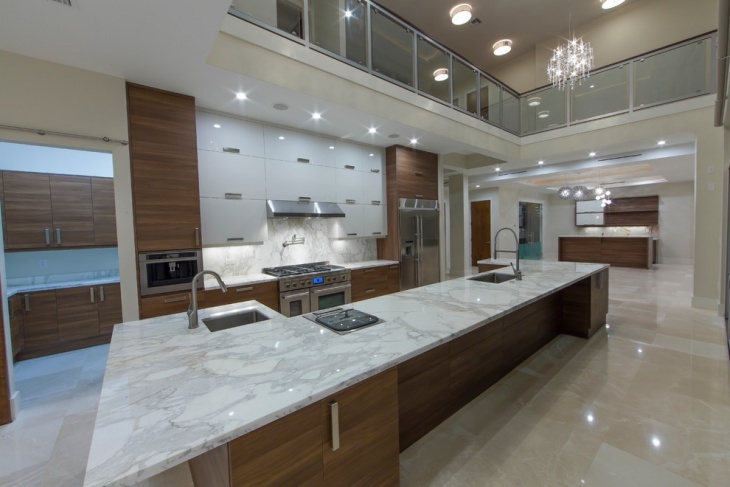 The marble flooring complements the white ceiling with small pendant lights in this setting. 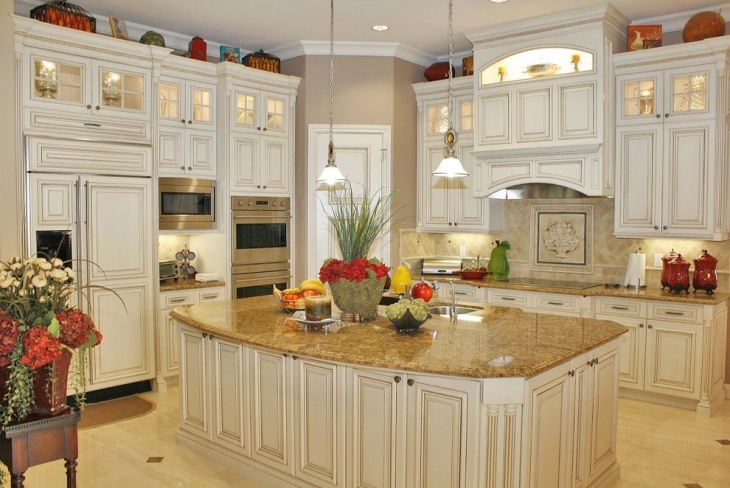 Go for a yellow-brown polished marble countertop if you crave for a traditional look for the kitchen. With beige walls and marble floors in the room, the white cabinets look great on the walls. The low cabinets too, are white in colour and this delivers the perfect traditional ambience to the eat-in kitchen. Some people prefer contrasting kitchen colours, and you can incorporate the white and brown combination to perfection here. 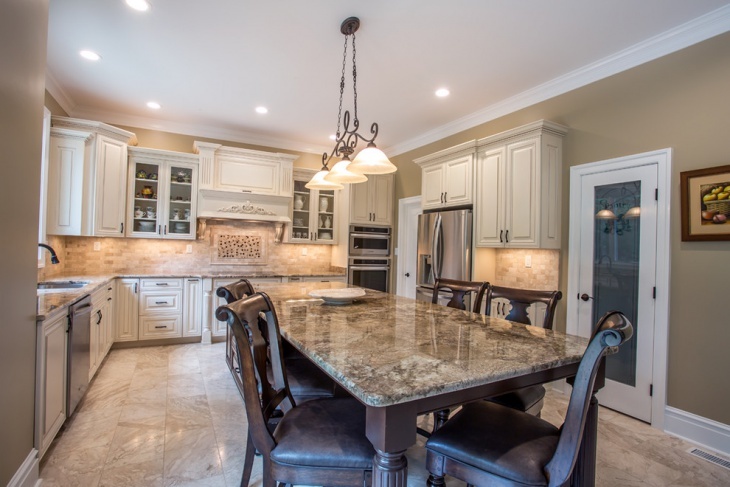 There is an L-shaped cabinet with a white marble countertop and a matching design for the kitchen island in the front. Opt for the same combination for the ceiling; the brownish hue along the lines of the ceiling looks awesome. 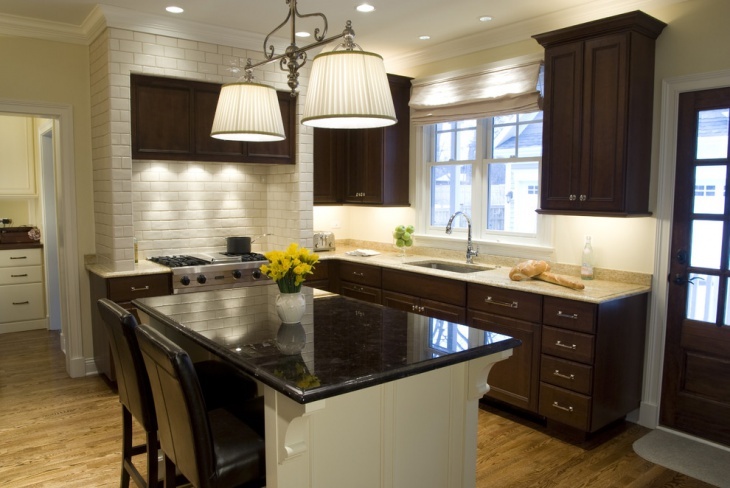 Design by timothyj kitchen & bath, inc.
Kitchens with a glass-tile backsplash look sophisticated when you have marble countertops over dark brown cabinets. It is a unique combination of brown spots over a white theme. The same theme has been incorporated in the kitchen island. A contrasting floor makes the kitchen perfect. A Modern Condo Kitchen with steel cabinets can have a different look when you use the white and grey spotted combination for the countertop. 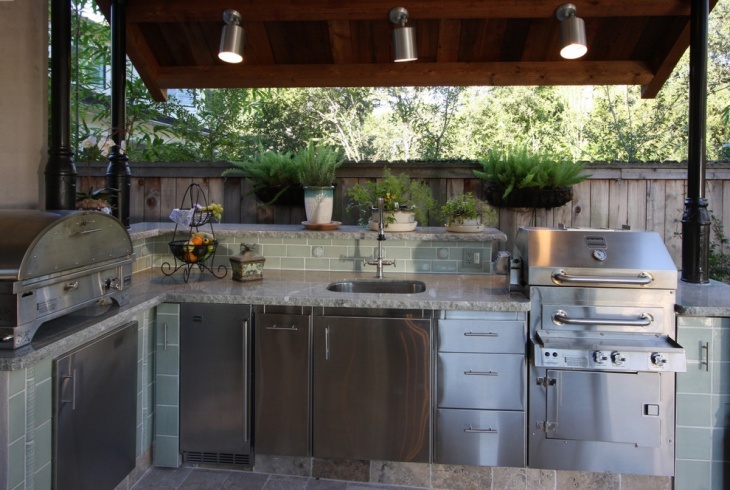 With wooden shades and bright lights, it bears a fitting look for outdoor kitchens. 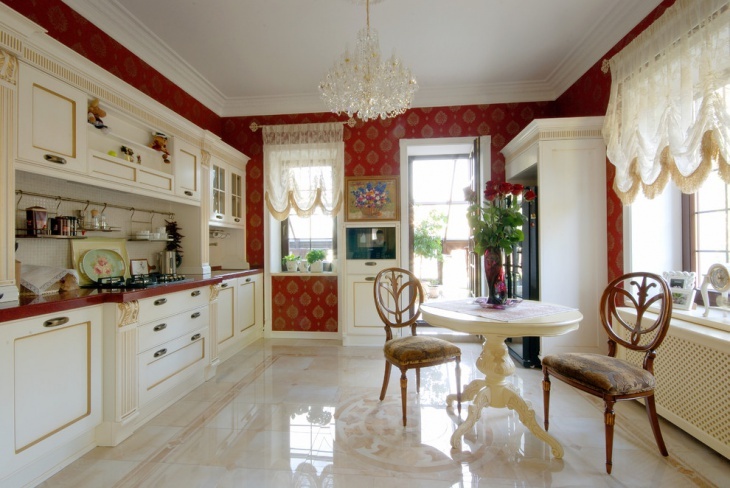 You can cherish a vintage look in the eat-in kitchen when you have grey marble tiles on the floor. It enjoys a good compatibility with the marble countertop used on the table. White cabinets in the walls are ideal for the room and you can use hanging lights as well as pendant lights for the right mix. 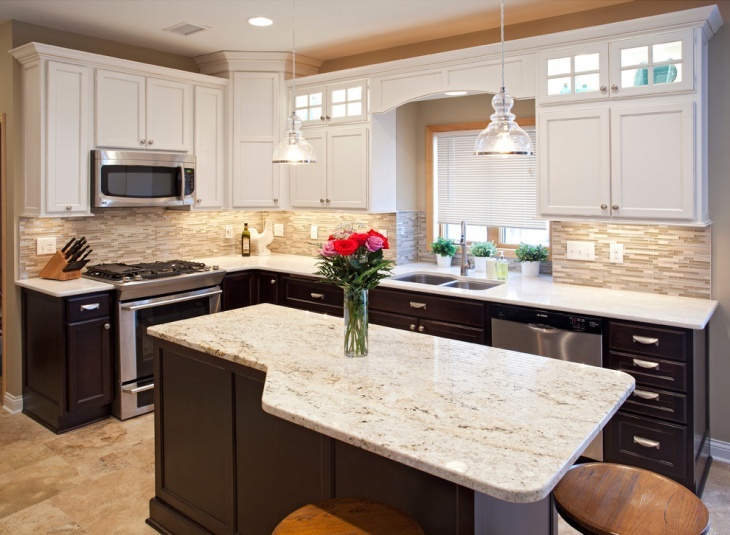 Marbles have been traditionally used in kitchen countertops. 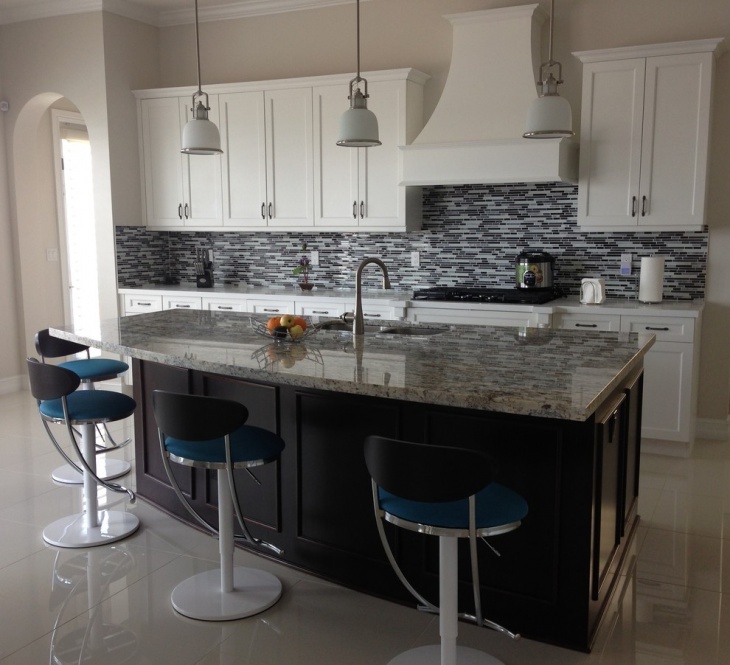 In the modern housing designs, they are being used in the backsplash and floors as well. A perfect marble kitchen design can be achieved when there is a parity among all the elements in the interior of a kitchen. 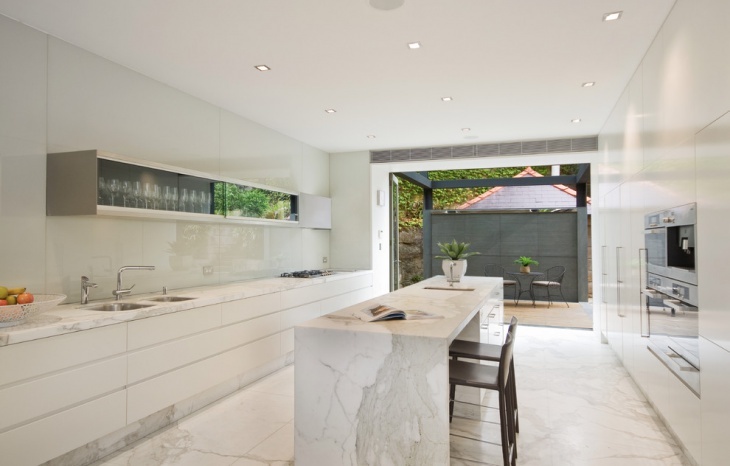 You may have new marble kitchen design ideas for indoor and outdoor kitchens, and you can share them with us if you please.